‘The Road to San Giovanni’ is a collection of autobiographical pieces, and has five pieces, each one brilliant. My favourite of the lot is ‘A Cinema-goer’s Autobiography’. Sample this, ‘What used to be called the Hollywood firmament formed a system entire unto itself, with its own contrasts and its own variables, a human typology. Surely has to be one of my all-time favourite writers. Also reading ‘Invisible Cities’. 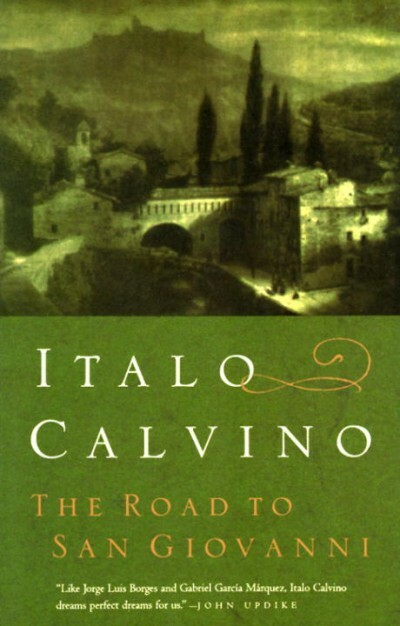 Useless trivia : ‘The Road to San Giovanni’ was supposed to have a few more pieces and was to be titled ‘Passagi obbligati’ but it is incomplete says Esther Calvino in the foreword to the book. It was meant to have a few more like ‘Instructions for the other self’, ‘Cuba’, ‘The Objects’ and hence the title that was meant to be used hasn’t been.